Crunchy and delicious. This healthy and quick side produces perfect results every time. Add in broccoli, still wet and cover. Raise to medium heat. 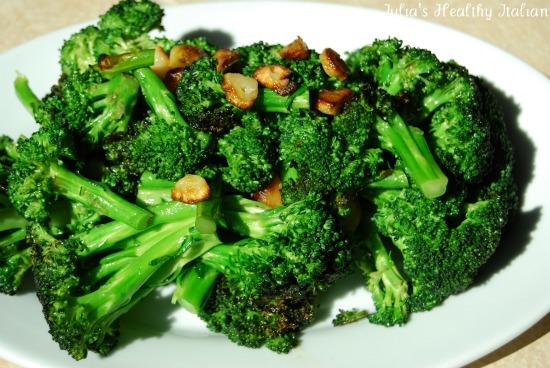 The water on the washed broccoli will provide enough moisture to steam the broccoli. Cook for 6 minutes, tossing them once half way through. Serve immediately, if not, be sure to leave uncovered so they don't soften too much. This revolutionized my broccoli world. I liked broccoli before but this could turn it into a real "red light" food for me. Meghan, you cracked me up on this one. Well said ;) Im telling you, broccoli and me are like peas and carrots!